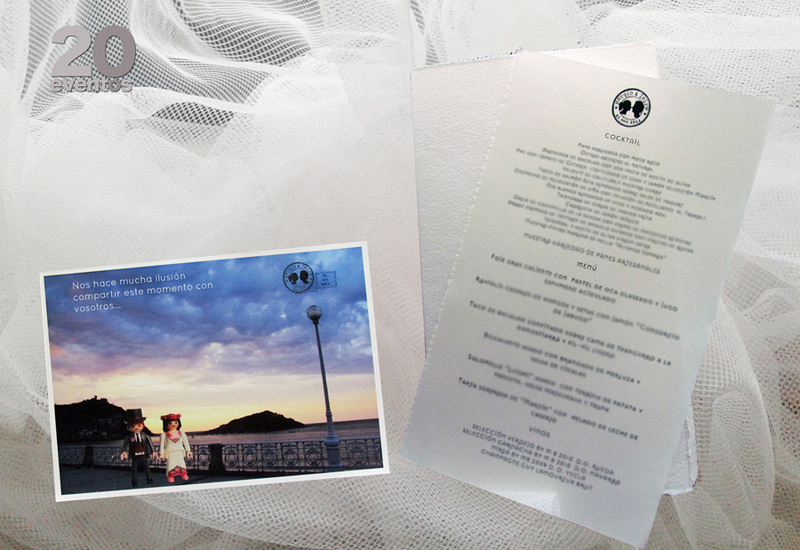 The menu and thank you notes had printed the personalized monogram. 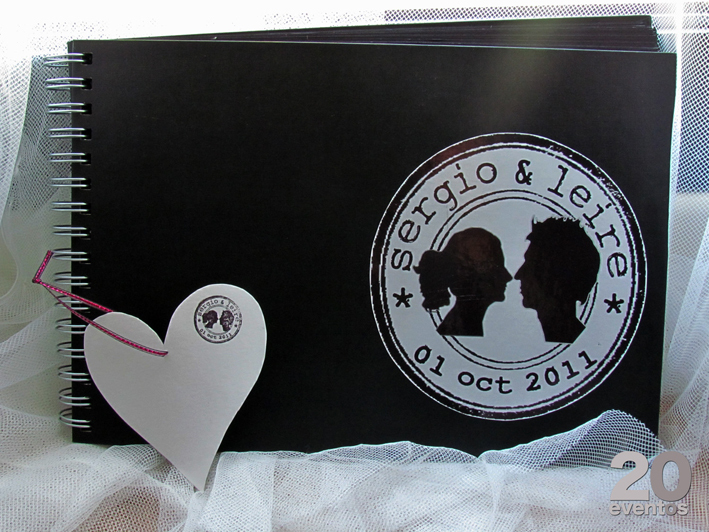 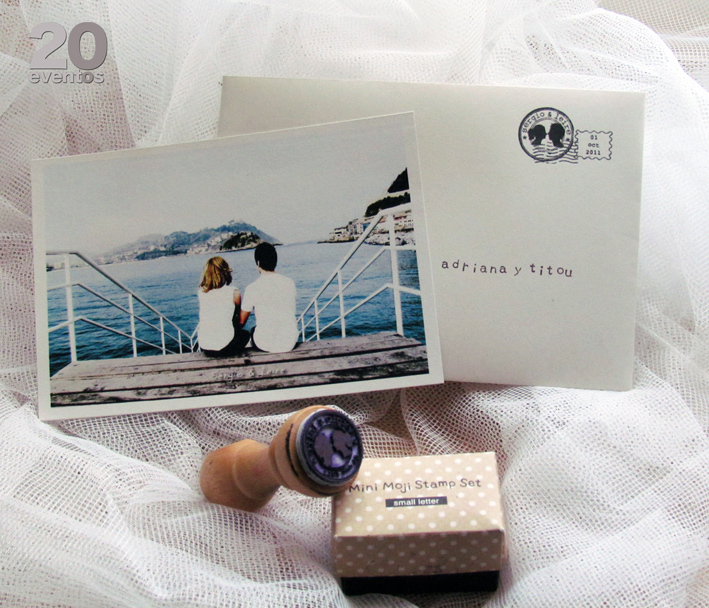 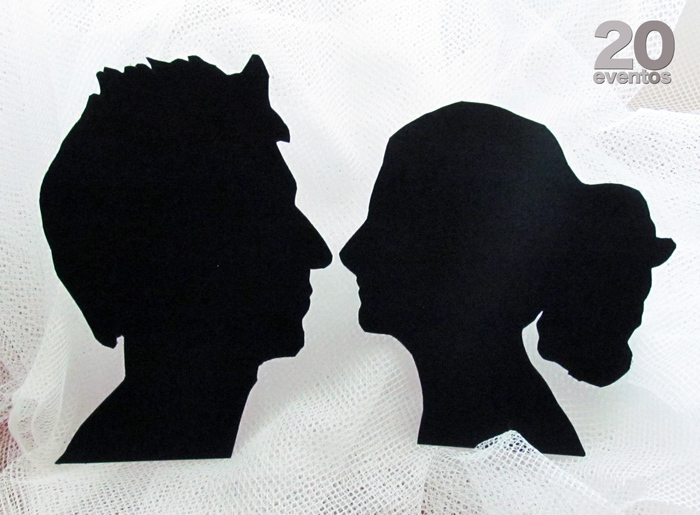 The thank you note had a postcard shape too, but in spite of being a picture os us we put a bride&groom figures. Imágenes/Images: todas estas imágenes son propiedad de 20eventos. 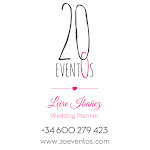 All those images belong to 20eventos. Me ha encantado... súper bonito y original!! 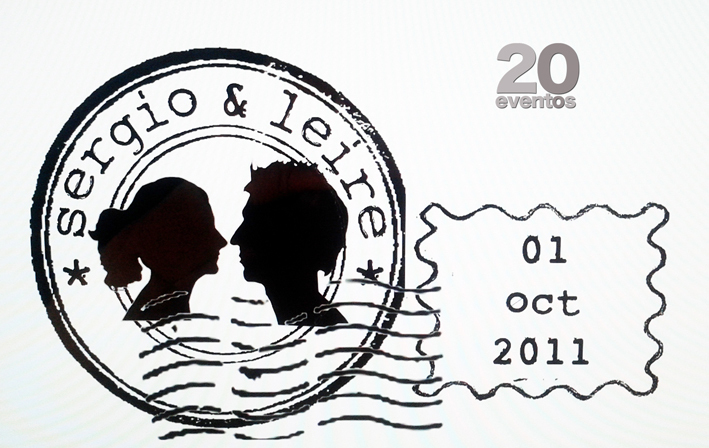 Muchas gracias!! nos alegramos de que te haya gustado! !